Stay stylish with this relaxed kimono. 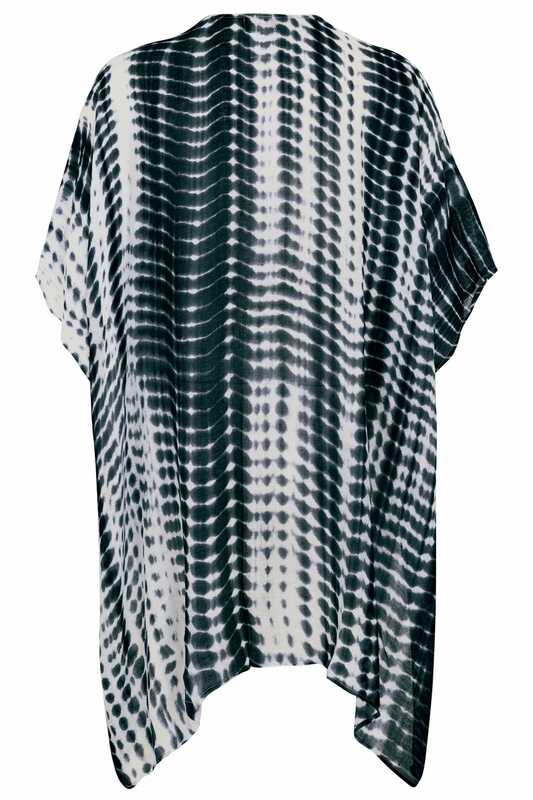 Great for wear on the beach or by the pool, it is made from a comfortable lightweight fabric and features an asymmetrical hemline for good coverage. 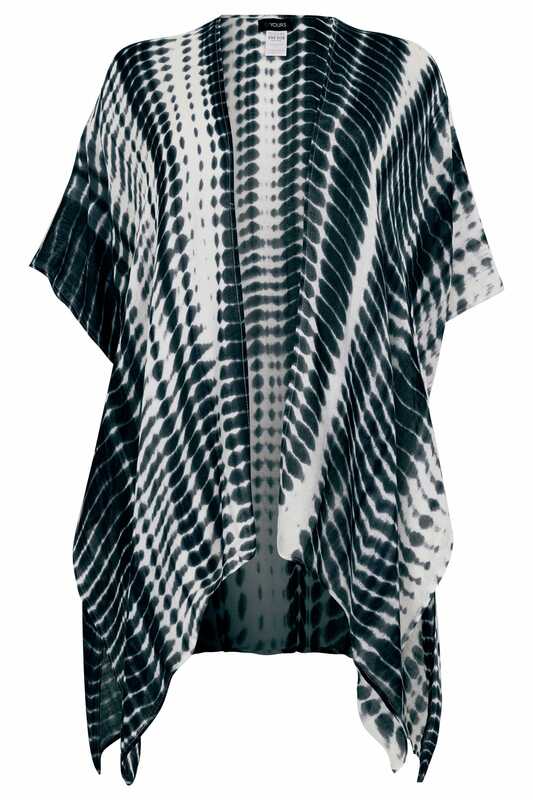 We are loving the chic tie dye print.